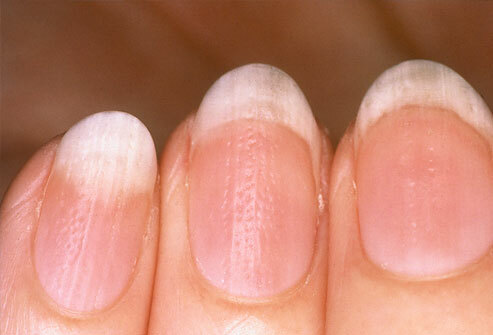 Did you know your nails can reveal clues to your overall health? 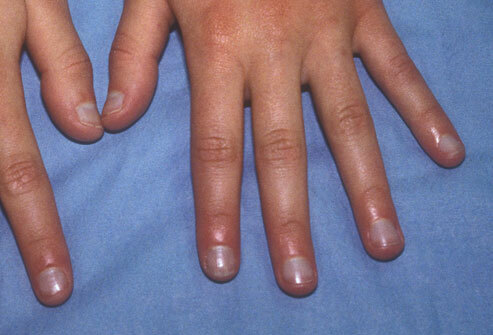 A touch of white here, a rosy tinge there, or some rippling or bumps may be a sign of disease in the body. 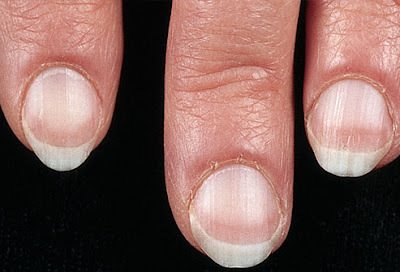 Problems in the liver, lungs, and heart can show up in your nails. 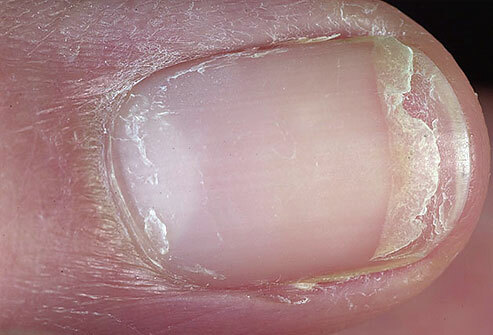 Though nail changes accompany many conditions, these changes are rarely the first sign. And many nail abnormalities are harmless -- not everyone with these type of nails has problems. If you are concerned about the appearance of your nails, then you better see a skin doctor dermatologist or a Physician before taking any decision. Keep reading to learn what secrets your nails might reveal. 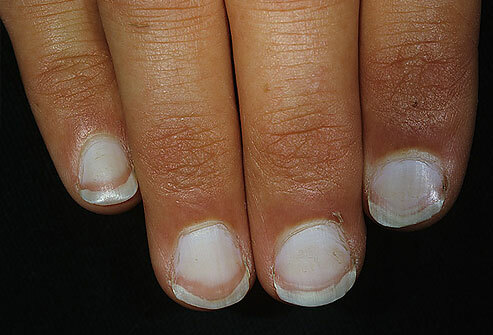 Very pale nails are sometimes linked to aging. But they can also be a sign of serious illness, such as Anemia, Congestive heart failure, Diabetes, Liver disease, Malnutrition. 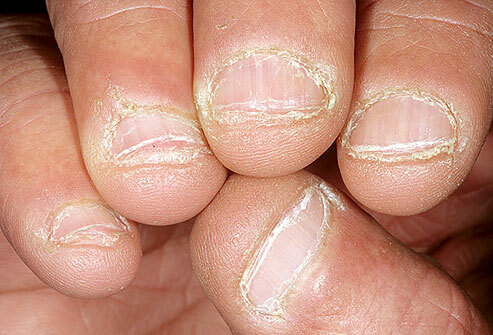 One of the most common causes of yellow nails is a fungal infection. As the infection worsens, the nail bed may retract, and nails may thicken and crumble. 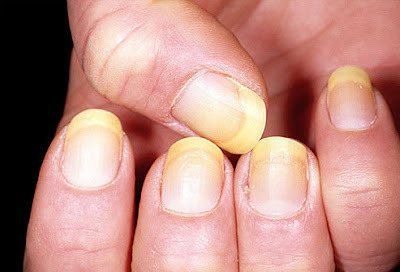 In rare cases, yellow nails can indicate a more serious condition such as severe thyroid disease or psoriasis. Nails with a bluish tint can mean the body is not getting enough oxygen. This could indicate an infection in the lungs, such as pneumonia. 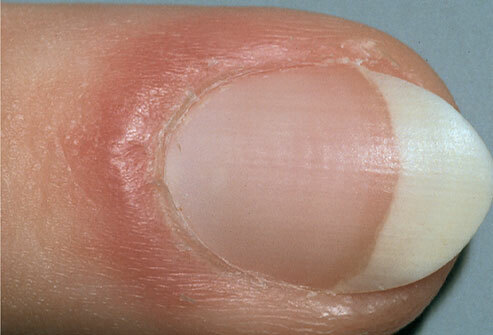 If the nail surface is rippled or pitted, this may be an early sign of psoriasis or inflammatory arthritis. Psoriasis is a skin condition that starts in the nails 10% of the time. 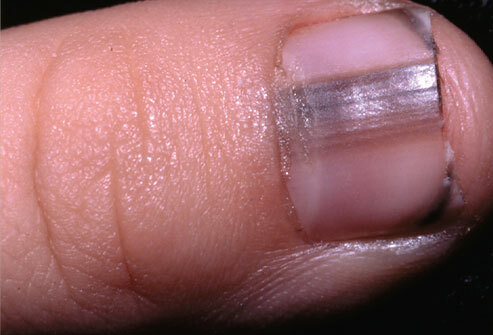 If the skin around the nail appears red and puffy, this is known as inflammation of the nail fold. It may be the result of lupus or another connective tissue disorder. could benefit from treatment. Nail biting or picking has also been linked to obsessive-compulsiv e disorder. If you cant stop, its worth discussing with your doctor.